Microalgae developed in wastewater retain large amounts of lipids, carbohydrates and proteins suitable for energy production, without a biomass limit or transformation. Scientists at the National University of Mexico (UNAM) say they can produce biofuel in three hours. A study conducted by the Engineering Institute at UNAM and the University of Newcastle was developed from the sampling of mixed microalgae—specifically, chlorella, scenedesmus and desmodesmus native to the Lake of Texcoco. During the generation of biodiesel, about 45 percent of the energy is used in harvesting microalgae; therefore, researchers focus on improving processing operations involved in the transformation to biodiesel. Dr. Sharon Velazquez, expert from the University of Newcastle in the U.K., said that "we want to avoid changing the natural environment of microalgae and not introduce genetically modified species. The fraction of the microalgae nutrient we use depends on the biofuel. In our case, we use fats—we extract them and transform them into biodiesel, meaning we improve the properties of lipid viscosity for use as a liquid fuel." The graduate of the UNAM also emphasized that the development of corn or palm oil takes weeks. 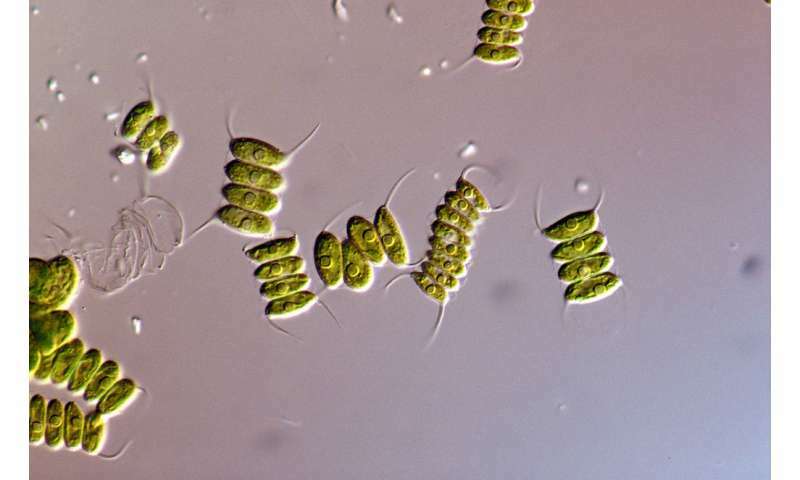 Microalgae, as a living cell, grows in less than 24 hours, plus their transformation into biodiesel can be very fast. Her publications show that conversion of microalgae to fatty alkyl esters can take less than three hours. After more than six years of research, Velazquez stresses that "it is estimated that the global energy for wastewater treatment will increase up to 44 percent by 2030." Thus, it has been determined that the use of this biodiesel offers great benefits including reduction of emissions of greenhouse gases, and it also boosts the local economy with the creation of new jobs and presents a viable alternative to fossil fuels. "Geotechnical studies have described our country as ideal for the growth of microalgae. For example, countries such as Peru and the United States have already opened the spectrum of fuels used in automobiles. We hope that Mexico will also start offering this to consumers," she said.